You might suspect that the Surface Pro 2017 is the closest we’ll ever get to the Surface Pro 5, but if Microsoft itself is anything to go by, you would be dead wrong. 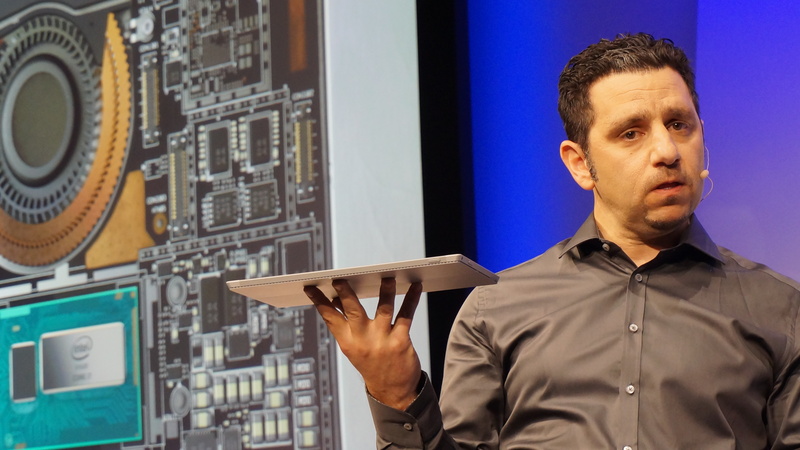 The Surface Pro 5 doesn’t exist right now, as Microsoft Surface leader Panos Panay confirmed last May, but it will when more meaningful changes erupt from the geniuses at Microsoft’s hardware design lab. More specifically, echoing Panay, while there’s “no such thing as a [Surface] Pro 5” right now, there will be when the time is right. When Microsoft can come up with upgrades that radically improve the dynamics of its wildly popular Surface Pro 4, it isn’t too far-fetched to presume that we’ll see a name change beyond the confiscation of a numerical value. 2018 could be the year that we see the Surface Pro 5 and all that it entails. Last May, Panay said that if the Surface Pro 5 ever does exist, it will be when it can bear changes more significant than a simple processor refresh. There’s no telling for sure when or if that will take place, but the next time it could will be around the anniversary of the latest Surface Pro. As the 2017 Surface Pro emerged in mid-June of last year, the next Surface Pro – whether it’s the 5 or the Next or what have you – is months away based on that fact. And although the new and improved Surface Pro of yesteryear introduced a better battery life and a Surface Pen equipped with 4,096 levels of pressure sensitivity, that wouldn’t be enough for Microsoft to justify upgrading the number in its title along with amping up its specs. Let’s take a look at what would. Reports dating back to March 2016 led us to believe that the Surface Pro 5 would come out alongside the Windows 10 Creators Update, and that would have made complete sense had it actually come to fruition. Instead, the Creators Update launched, complete with a handful of new designer- and gamer-focused software features, but with no first-party hardware in sight. Of course, as we mentioned before, the 2017 Surface Pro was revealed not long thereafter at a Microsoft event in Shanghai. We certainly wouldn’t bet on an imminent Surface Pro 5 release given that the rumors are scarce right now and Microsoft is hard at work safeguarding its devices against Meltdown and Spectre. That goes without mentioning the fact that the Surface Pro with LTE only just came out on December 1 and has since been accompanied by a healthy dose of firmware treats. There’s no way a company would launch a follow-up product a month and some change later. What’s more likely is that Microsoft will continue to deliver system-specific updates to the existing Surface Pro until its sequel is ready in the warmer months of 2018. Historically, Surface pricing rarely fluctuates with each new variation. 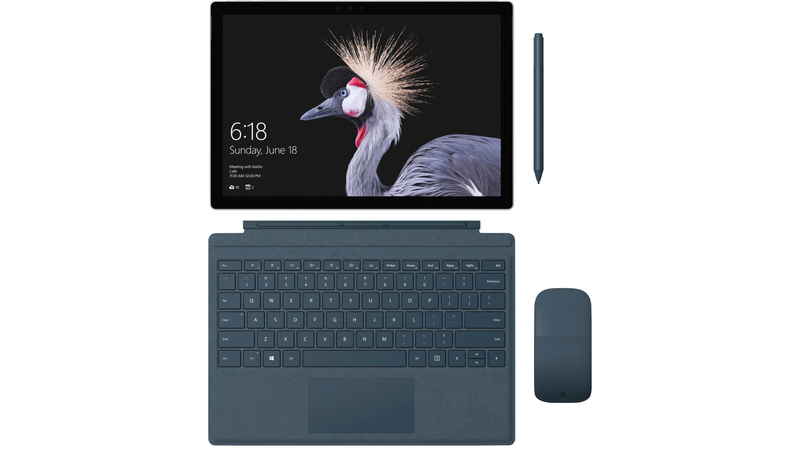 At the Shanghai event on May 23, the Surface Pro was revealed to come with a $799 price in the US or £799 in the UK (that’s around AU$1,380) for the entry-level model. If the Surface Pro 5 is indeed the Surface Pro, then we now know for sure what the price will be. 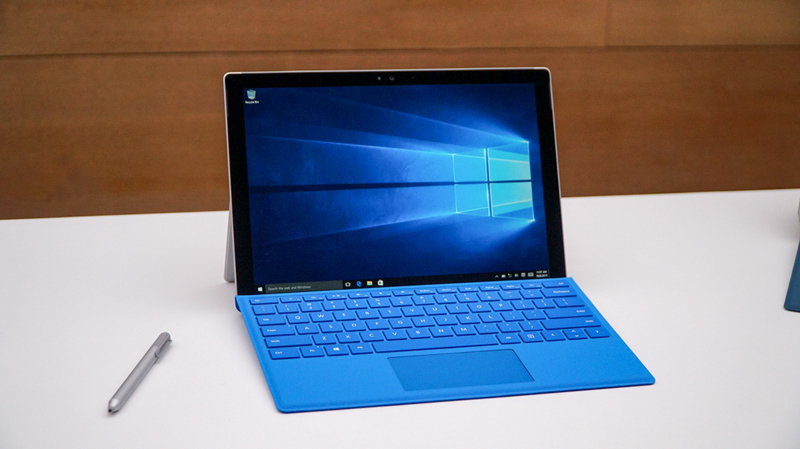 But, if the Surface Pro 5 is the would-be successor to the Surface Pro, then maybe we can expect a higher price tag. While it wouldn’t be ideal for Microsoft’s loyal following if the company deviated too far from the norm, ambitious upgrades may necessitate that it does. For the price of the next Surface Pro to differ from its predecessors, it would have to offer some serious advantages over its last-gen sibling – not just a run-of-the-mill spec boost. Regardless, the ball is in Microsoft’s court here, and if pricier new additives like, say, a bezel-less display are implemented into the baseline model, it’s not unprecedented for PC makers to issue a price hike. In terms of specs, what little we know is based on tweets from Microsoft informant Paul Thurrott whose sources have told him that the Surface Pro 5 will indeed use an Intel 7th-generation Kaby Lake processor. More likely, though, is that he was confusing the Surface Pro 5 for the new Surface Pro considering it, too, uses Kaby Lake. Not to be confused with the 8th-generation Kaby Lake Refresh processors, Intel’s 7th-gen Kaby Lake processors are a more than sufficient upgrade for any Windows tablet or laptop purchased prior to 2015. Port-wise, as it stands (and as Thurrott had also predicted), the Surface Connect proprietary charger is here to stay, meaning the latest Surface Pro – and presumably the Surface Pro 5 – don’t use USB Type-C for charging or data transfers. That said, this is bound to change given that the Surface Book 2 does offer native support for USB-C. 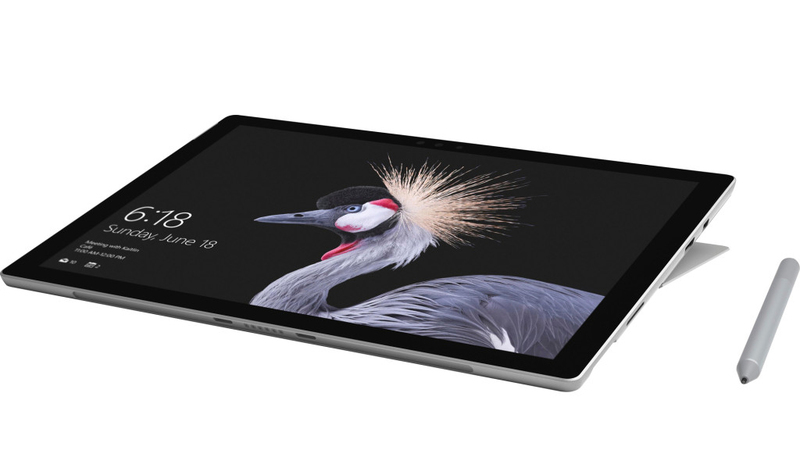 Ahead of its announcement, a leak published by VentureBeat showed off a number of press renders that claimed to be of the Surface Pro 4’s successor. As it turns out, that was only half true. These designs ended up representing the Surface Pro rather than a true Surface Pro 5. 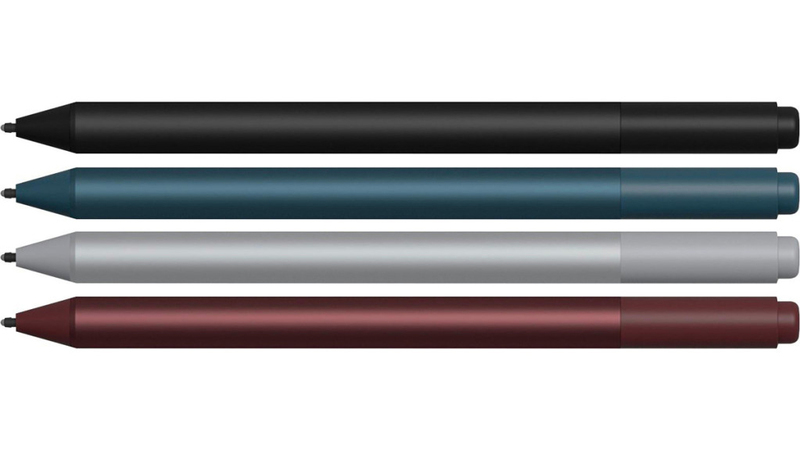 One piece of the puzzle regarding every new Surface is how Microsoft will upgrade its Surface Pen stylus accessory that comes bundled with each tablet. The most recent Surface Pro iteration may have been treated to a helping of 4,096 pressure sensitivity levels, but back in January 2016, we were led to believe that a rechargeable stylus was in the works in Redmond. Also mentioned was the incorporation of “hero features” such as Cortana and Windows Hello, and although a fingerprint scanner didn’t make it into the new Surface Pro itself, there is an optional Type Cover that includes this functionality. With that in mind, we can surmise that if or when a Surface Pro 5 is announced, it will also support fingerprint recognition. As much as we’ve been impressed by the Surface Pro 4 and its follow-up – hibernation bugs aside – there will always be room for improvement. (That would be the case even if it had earned our Editor’s Choice award.) From the screen size and resolution to the hardware found inside, we have a few ideas for how Microsoft could craft an even better Windows 10 tablet. This is a bit of low-hanging fruit, but countless customers have lamented the Surface Pro 4’s battery life, regardless of issues with its ‘Sleep’ mode. We rated the device for five hours and 15 minutes of local video playback. That’s well below Microsoft’s promise of nine hours of video playback, a benchmark that even the 2017 Surface Pro couldn’t achieve in our review (our test resulted in 6 hours and 58 minutes of video playback). Our video playback figure is in line with the average laptop, though it’s a far cry from what its nemesis, the MacBook, can achieve. Ideally, and realistically, we’d like to see at least seven hours of battery life reliably from the next Surface Pro tablet. That would put it closer in line with the MacBooks as well as competing tablets, like the iPad Pro. Surely, you’ll need as many milliampere hours in the Surface Pro 5’s lithium-ion battery as you can get. That said, if the Surface Pro 5 could garner anywhere near the Surface Book 2 manufacturer’s suggested battery life of 17 hours, you would find no complaints from us. Come on, Microsoft, we know you’ve thought about it. 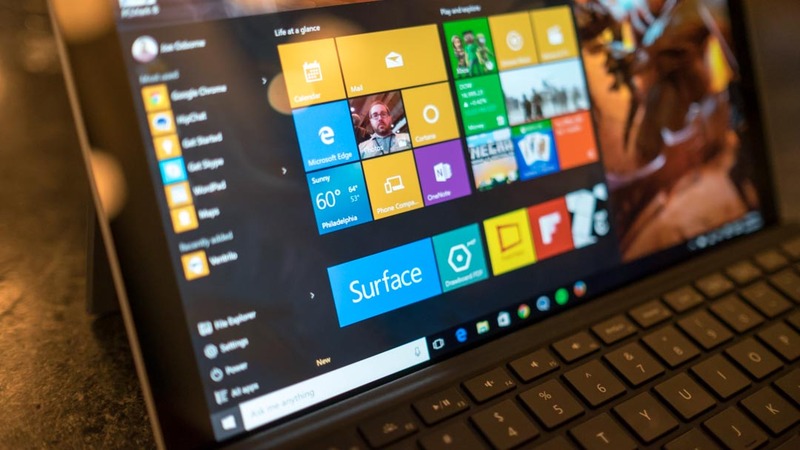 With the Surface Pro 4 and the subsequent Surface Pro, Microsoft managed to outrank countless rivals in both the laptop and tablet spaces when it comes to screen resolution. 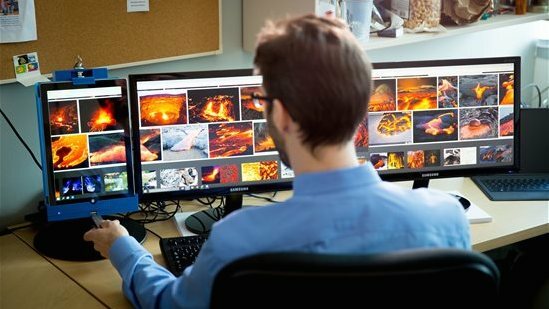 With a razor-sharp 267 ppi (pixels per inch) already at 2,736 x 1,824 pixels within a 12.3-inch screen, it’s not as if the Surface Pro 5 needs to be much sharper. The Surface Pro 4 is big enough for almost all tasks, but it’s still not the established default size for most laptops: 13.3 inches. Then again, doing so may cannibalize Microsoft’s market by negating the need for the Surface Book 2. On the other hand, maybe the iPad Pro is onto something with its 12.9-inch display. After all, we’re not asking for a gargantuan, monster-sized tablet – just a slight size boost. Assuming the resolution doesn’t bump up too much alongside a size increase, the extra space could allow for a battery life boost. At this point, no Windows device is complete without implementing USB Type-C, the reversible, versatile port that can deliver power, audio and video while also transferring data at rates of up to 40Gbps. Traditional USB ports won’t cut it any longer, at least not on their own, so the Surface Pro 5 needs to get with the times. As the Surface Book 2 gradually makes its way to eager consumers, perhaps Microsoft will start to realize the potential of its USB Type-C port. 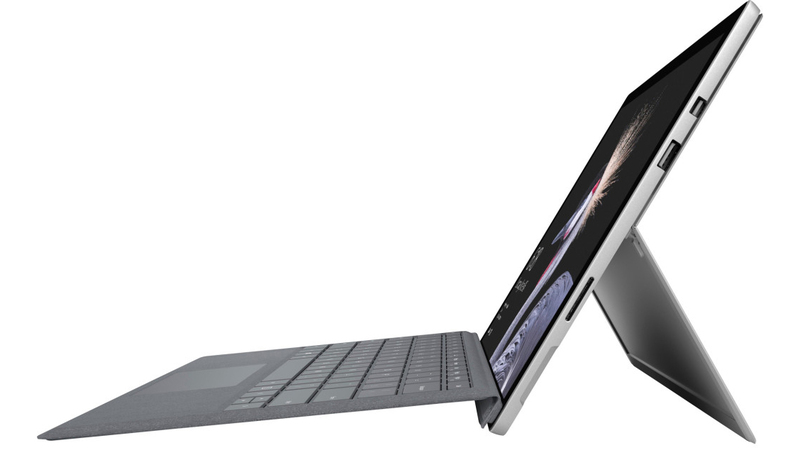 The current Surface Pro requires a dongle for USB-C connections at the present, a sentence that those familiar with the criticisms of the new port standard will have a good chuckle at. At the same time, Microsoft may want to include a standard USB 3.0 port, too, in order to natively meet the system requirements for its own Windows Mixed Reality headsets. If the company wants to lead the pack in the business of affordable virtual reality solutions, it’s a no-brainer to make the Surface Pro 5 compatible. Whether or not you believe it will be called the Surface Pro 5, the next iteration of Microsoft’s Surface Pro tablet is an elusive concept. If one exists at all, we applaud Microsoft for how well it’s keeping its forthcoming hardware under wraps. Nevertheless, we’re sure to see some sort of new Surface product later this spring, whether it be at Build 2018 or otherwise.